You must make reservations at least 5 minutes in advance of the time at Port Land Grille. Port Land Grille has progressive American regional cuisine masterfully executed by chef owner Shawn Wellersdick in a casually elegant coastal setting since November 2000. Fresh Local Cocktail Claw "Fingers"
Fried California Cut Calamari "Buffalo Style"
domestic lump, crab and claw meat cake over Southern style buttered baby lima beans and a warm apple-wood smoky bacon vinaigrette & a green goddess "tartar sauce"
If you want the bread pudding, please have your waiter/waitress place the order BEFORE your meal. I had a salad so I could enjoy dessert. When I went to order dessert (at 7:15), they were all out of their delicious bread pudding. The meal was spectacular and the service was excellent. But I dreamt of that bread pudding for a week. Sadness. Great place to eat. Truly one of Wilmington's finest. One of the best meals I've had in years. Local, fresh produce, grass fed beef, local wild caught fish deliciously prepared and beautifully presented. Service was attentive and personal but not intrusive. Great service and food, as always. The corn, shrimp and peanut soup was amazing. 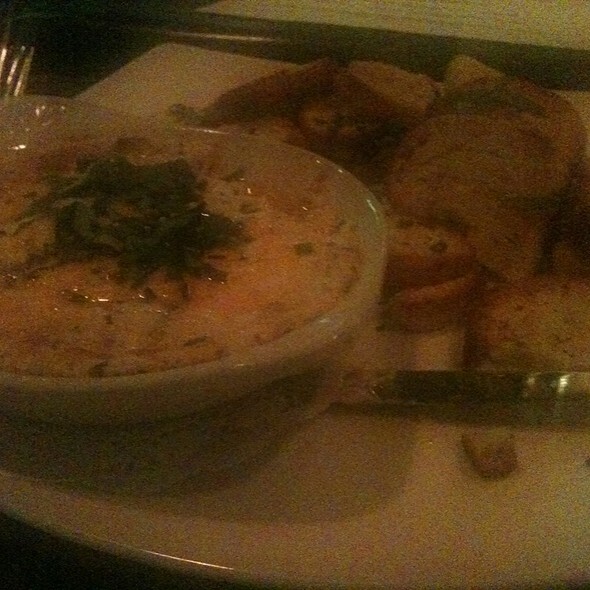 Server was good, atmosphere was good, the food was lack luster. We had a group of 4 that ordered 4 appetizers. We fully planned on ordering entrees and a bottle of wine, but after eating the apps, we decided it wasn't worth it. It's pricey which is fine if the food is excellent, but the food was very flat. Tuna tartare seasoning was nonexistent, Vietnamese meatballs were warm (didn't know if it was supposed to be hot or cold because the noodles were cold), the wedge salad was good (hard to mess that up), and sadly I can't remember the 4th app we ordered. I also had an old fashioned and it was watered. So we cashed out and went to Grand Cru 2 doors down where we had a great time. We eat at Portland Grill a few times a year for special occasions. Usually we have amazing service. This time our waiter, Rocky wasn't very good. He was argumentative and not very attentive. Great location, terrific ambiance and excellent service from the front desk to the bar to dinner. Meal was excellent with a very varied menu. So much to choose from. Appetizers were great and dessert menu superb. I would highly recommend Port Land Grille for dining for any occasion ! Port Land Grille is one of the finest restaurants in the Wilmington NC area. Friendly, professional service with excellent food. They offer a wide range of foods and drinks. I always enjoy dinner here with my wife. You should try it soon. A great dinner experience. My husband and I had our 8th anniversary dinner here. I made reservations through Open Table for 6:30 on a Saturday night. We were seated as soon as we arrived. The fresh baked bread with pimento cheese butter was amazing and I could have stuffed myself full of just it! We ordered the crab cake appetizer and it was delicious. It was mostly crab meat, minimal filler and was fried up crisp just the way we like them. 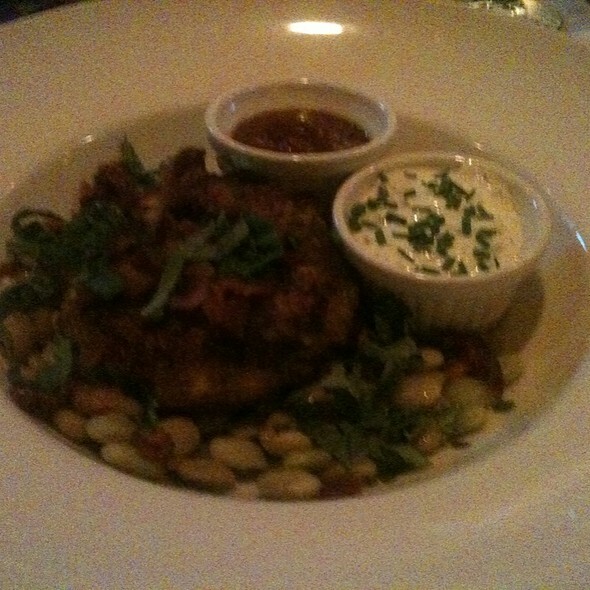 It’s served atop lima beans with crispy bacon. I never would’ve thought the combination but it was sooo good. 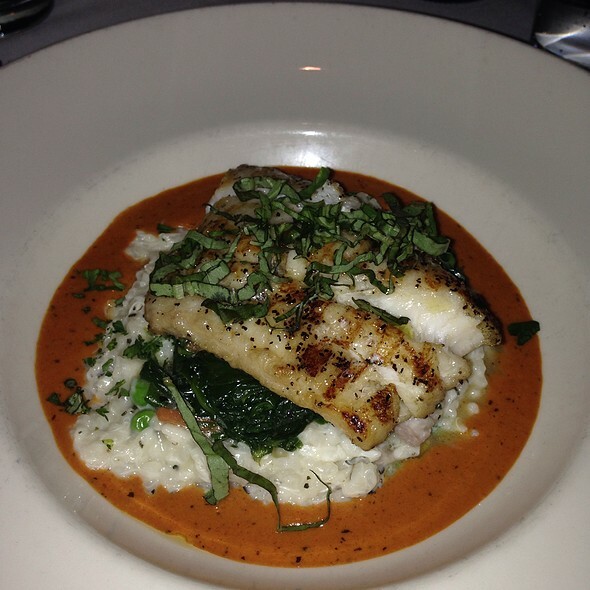 My husband ordered the Chilean seabass with truffle cheese grits and collards. He has eaten a ton of fish in his lifetime and this was hands down the most delicious piece of fish he had ever had. The sear was perfect and the fish was so tender and moist. The grits and greens were also delicious. I had the scallops over crab risotto and it was also fantastic. Service was perfect fine dining service-evey need met but never feelig pressured or hovered over. We finished the meal off with coffee creme brulee. I highly recommend this place. While it’s a tad pricey for the area, you get what you pay for and it is worth every penny! 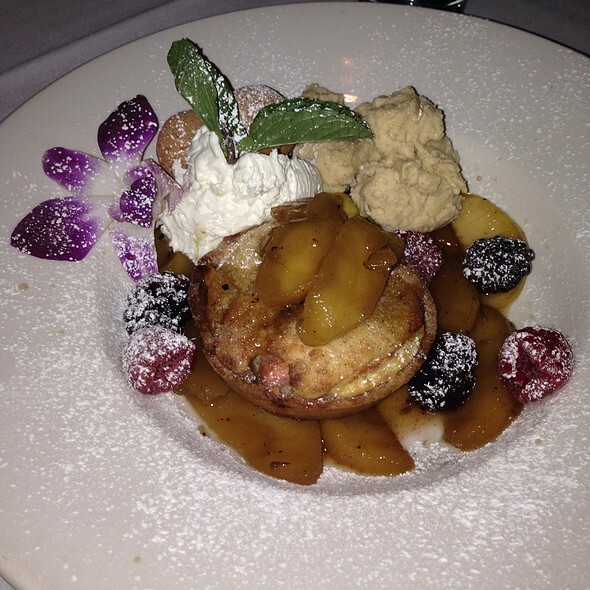 The food was excellent and we had outstanding service! Excellent seafood! Lots of choices and great appetizer selection. Nice wine list and music choices. Great wait staff. Some things a little pricey but well worth it! Outstanding! I highly recommend this place. 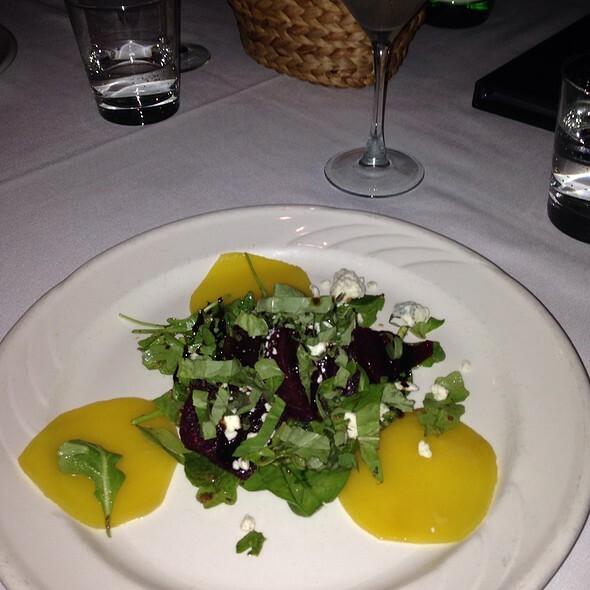 The menu was creative, food and wine was excellent and we were so glad we chose this place! We ate here the night before running the Wrightsville Beach Marathon. The food was incredible and the staff was so courteous and attentive. Definitely recommend it any time. Emily, our server was wonderful in providing info and feedback when we told her our preferences. We had a wonderful table in the corner. Two small plates and two entrees were superb! Wonderful dinner and can not wait to return. Just not that great. Steak so so. Sides meh. Service very slow. We try to go to Port Land Grille monthly. The food is fantastic, the service is incredible and there are great choices on the wine list. Many locals dine here, so you will not be overwhelmed by summer visitors. Service was excellent. We were not rushed through our meal. The Chilean sea bass was perfectly prepared. Food and atmosphere is amazing! It is pricey though. Booked a reservation for 8 PM Saturday about 3 days in advance, 8 pm being the earliest available. This was our first visit to this place. We arrived about 10 minutes early but then ended up standing in the foyer until 8:20 when we were seated. To be fair, it was the Saturday after Valentine's Day so we expected them to be busy, just didn't expect that kind of wait with a reservation. There were some very friendly & attentive servers there that night and ours was friendly but seemed rushed and distracted. The food was good and portions were more than generous. We intend to return on a less busy night - perhaps a week night. We love Port Land Grille and the food was amazing as usual! The kitchen was a bit behind but I think the weekend Valentine celebrations made for a packed house. Love th food and ambiance here! Got our table at 8. Got our food at 9:30. Ribeye was excellent. Grouper tasted like rubber. Service was excellent. Fantastic food and perfect service! My girlfriend and I went for Valentine's day. The wine was fantastic. The beef tartare was amazing! The antelope and aged ribeye were cooked to perfection! For dessert we had the molten cake. It was all very delicious and again, the service just right. I will certainly be back. Food was delicious prices are pretty good for the presentation of the dish. They were clearly overwhelmed for Valentines Day. Seating was well behind schedule and the kitchen extremely slow. We were seated 30 min late and after ordering our food took over an hour to arrive. Had 7:15 reservation. We were not seated until 8:05. When we arrived and checked in, we were told by the owner that they were running “a minute or two behind. I asked for status about 20 minutes later and owner stated “people with earlier reservations showed up late”. We were never offered any discount or comp item. Our server was very nice but owner not very sympathetic to inconvenience of customers. 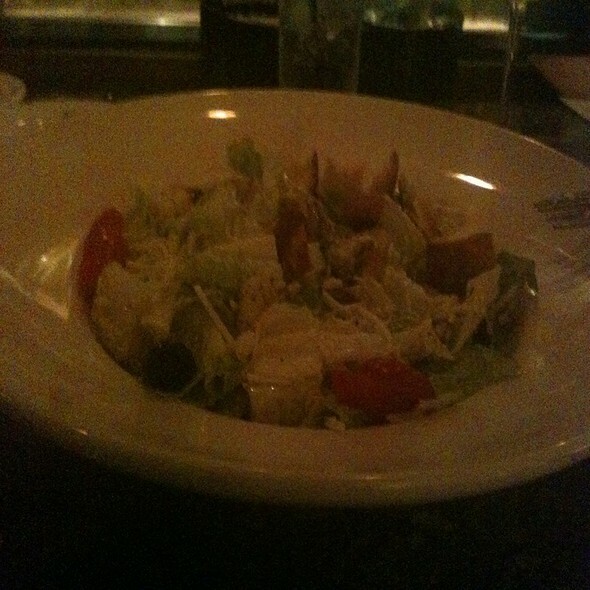 Food was amazing as always!!!! Great service! Would recommend for a nice date night!!! 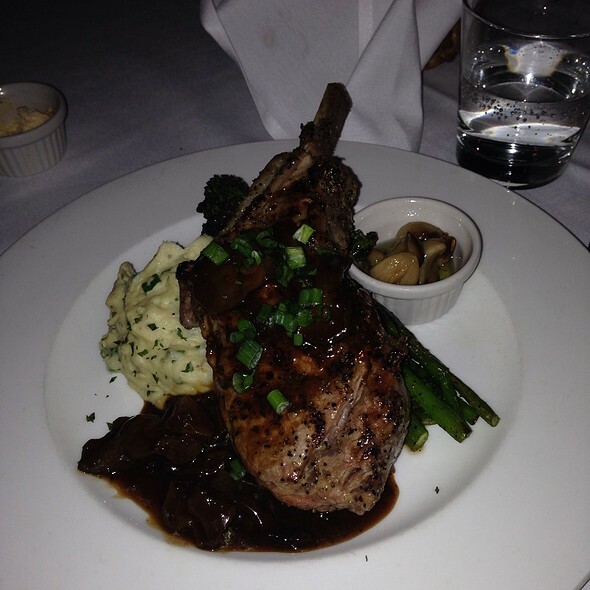 You will spend some money there but the service and food quality are well worth a splurge for a special night out. A must try for Wilmington! PLG is my wife’s fav special occasion restaurant in Wilmington & it seldom disappoints. Her steak & my Mahi-mahi were prepared perfectly & throughly enjoyed this Valentines occasion as in prior visits! Bone in rib eye was amazing. An impressive wine list, as well. Highly recommend. As always, the Port Land Grille did not disappoint. 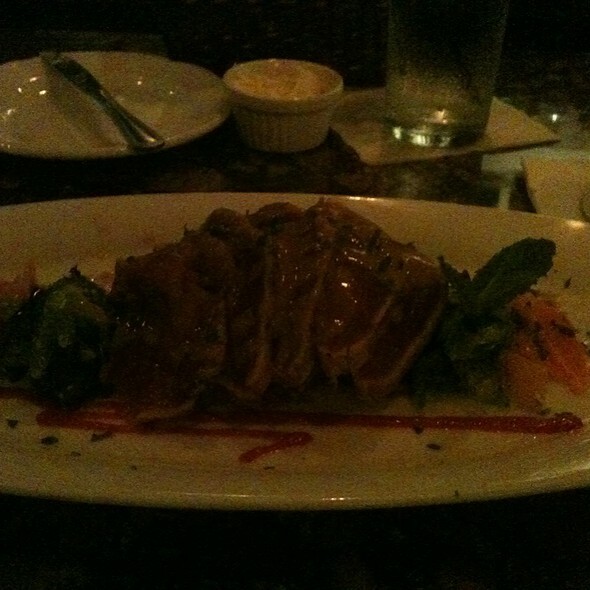 We enjoyed our St. Valentine's Day meal there on 2/13 when we felt the restaurant would be less crowded. We were correct. Anne and her staff were very cordial and accommodating. We always ask for a quiet table and as always were given what I feel is the best in the house. The wine list was more than adequate and the servers most hospitable. Foodwise, we each ordered the barrel cut filet and found it extraordinary. 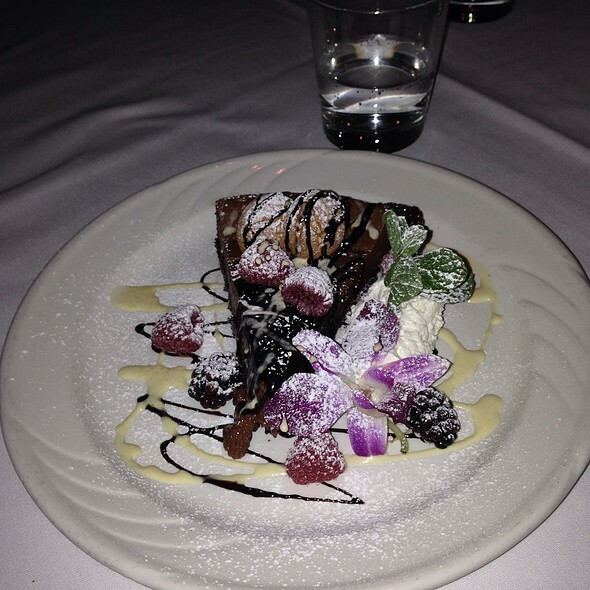 Dinner was completed by the chocolate lava cake which is a standard fare at this wonderful restaurant. We visit the Port Land Grille for many special occasions each year and are always met with a cheerful and relaxed atmosphere with plenty of good food and good feelings. Outstanding staff and service, our dinner was phenomenal. We can't wait to return! Our 47th Anniversary dinner & this is our favorite special restaurant in town. Our server Emily was outgoing & knowledgeable about the menu. Timing was perfect as we could talk & have a break between courses. This is not only the best restaurant in the Wilmington area, it could stand up to competition in towns like Atlanta, Savannah, Charleston, etc. We go here several times a year and each time continue to find everything perfect from staff, food and ambience. Great food and service. Just came away smelling very smokey. We thought the noise level was rather high We even asked the waiter if the PA system could be lowered- which he did. A group of 7 or 8 men were rather loud and disruptive of our conversation. This is the best dinning in all of Wilmington. It is not cheap, but it is worth it. If you have not been to Portland Grill, you are missing out.